It’s gluten free, wheat free, dairy free. It’s loaded with protein; this means it’s a great vegetarian meal option. 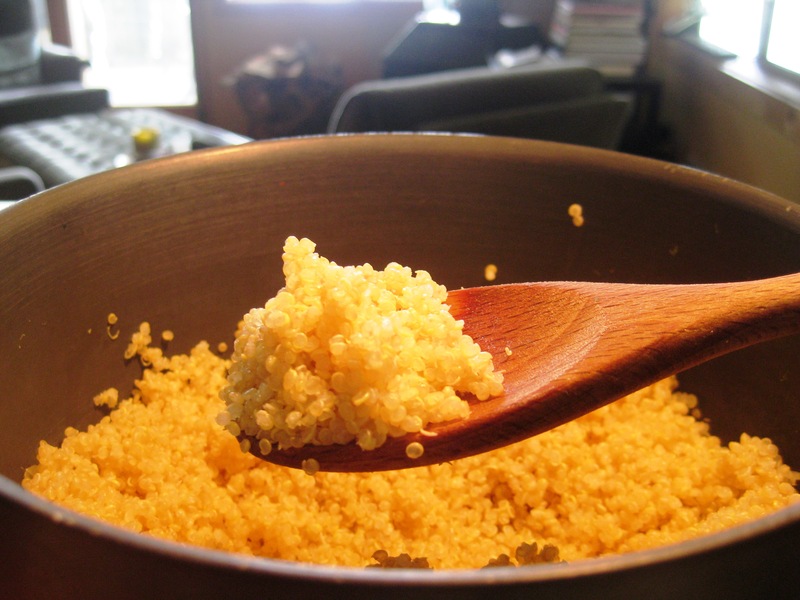 Studies show, quinoa has been helpful for people who suffer from migraines, as it contains an abundant source of: magnesium (as well as iron, copper, & phosphorus). It’s easy to make and versatile ~ it practically goes well with anything. 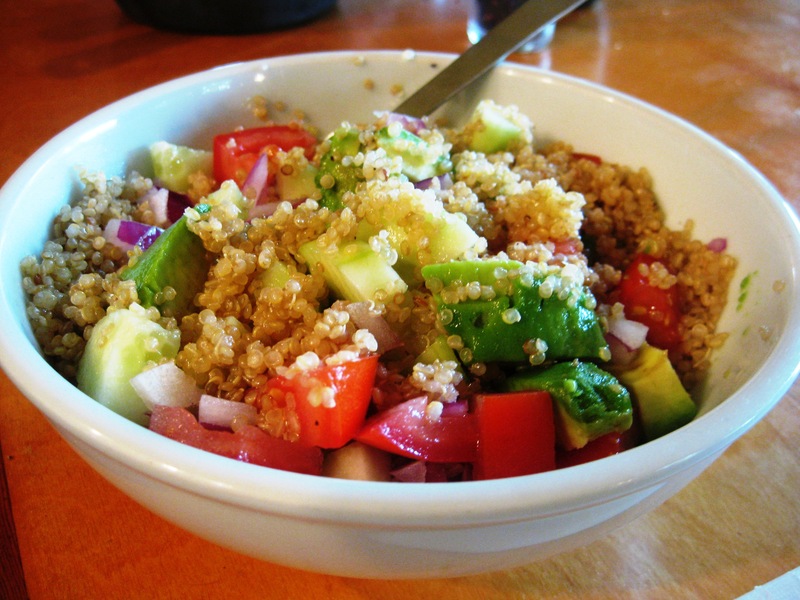 I’ve been eating quinoa at least 3 times a week now, including some lunches. Below are a couple pairing ideas. You can find cooking directions on the quinoa box, internet; or listed below. Enjoy!! Cooking instructions: 1 cup quinoa = 1 1/3 cup water. Bring to a boil then cover and reduce heat to warm/low for about 10-13 minutes. Fluff & eat! TIP: make a double batch and save some for tomorrow’s work-lunch! Or saute’ up some veggies (i.e. 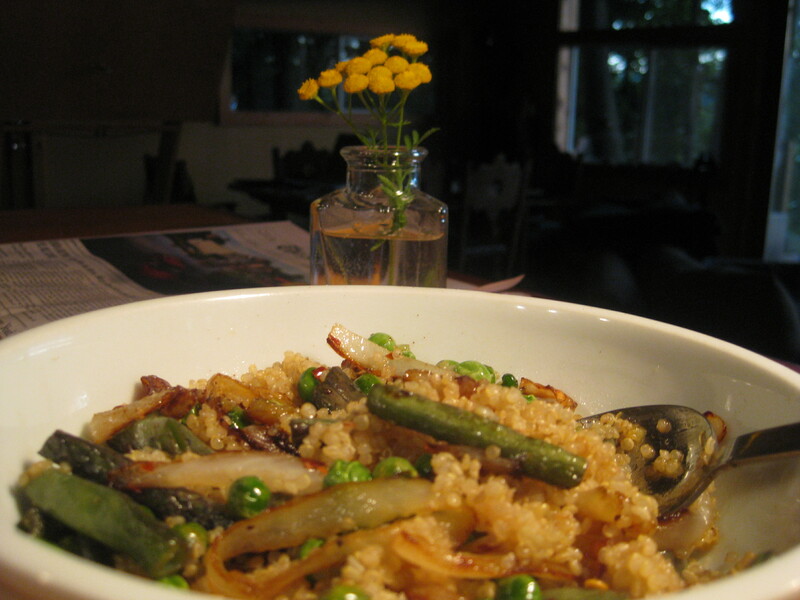 green beans, sweet onion, peas, zucchini) for a heartier ~ cozier meal. 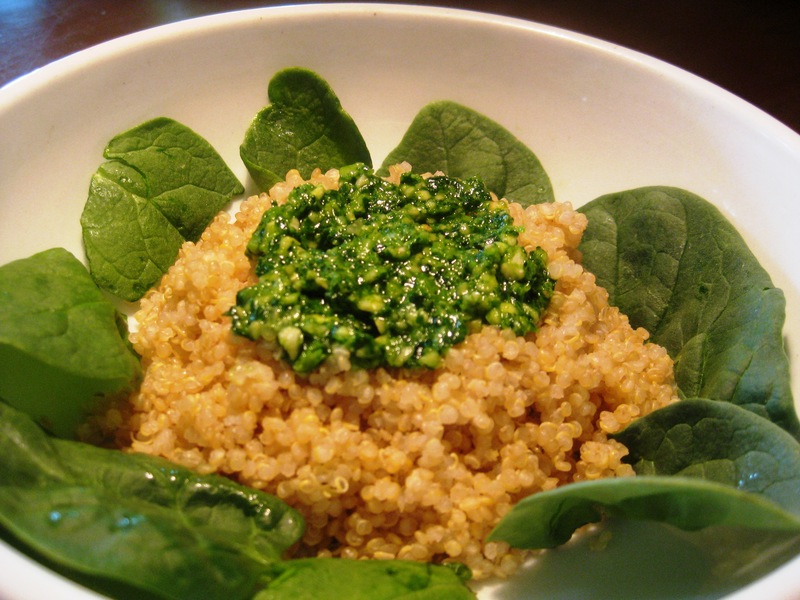 Lastly, one of my favorites: Pesto Quinoa. I found a DEEElicious, healthy way to make pesto. I omit the parmesan; but it somehow still tastes like the reg pesto. This was such a great discovery ~ it earned it’s own Blog posting (coming soon!). Happy grains + greens people! It’s the run of the Pinks! Usually, I don’t share stories as ‘exciting‘ as ones involving fish/fishing (haa ha). This is definitely worth sharing though…and I think you’ll be surprised too! These Pink Salmon have quite the journey: once they hatch in freshwater streams and rivers, they begin their migration. They head out to the ocean, sometimes travelling 1,000 miles or more. Pinks tend to live a strict 2 year life cycle. Once they reach the 2 year-marker, they’re sexually mature. They then return to the original waters where they were hatched! 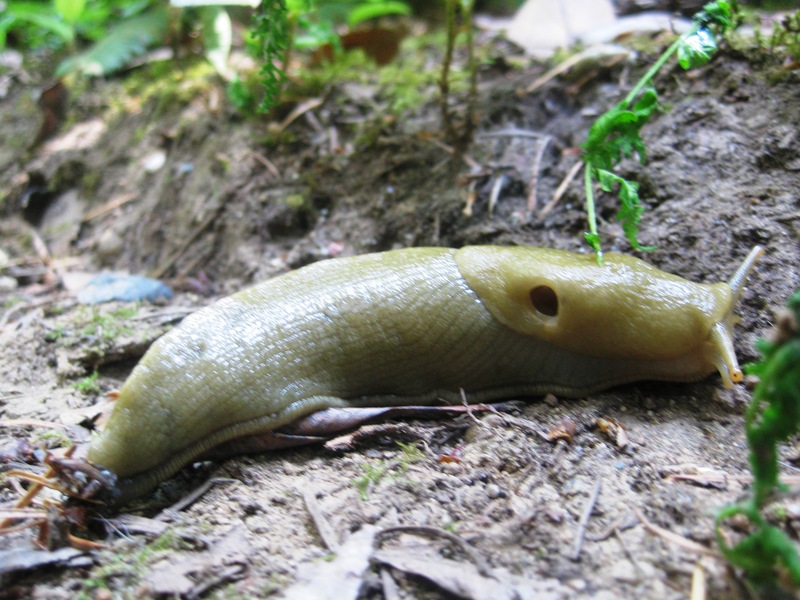 Once the Pink’s lay their eggs, they die a few days after. So, this is their journey. I found this so interesting ~ because they’re not so different than us, really. 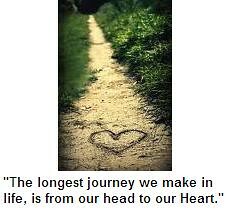 We have our purpose; our journey, no matter how long or difficult ~ boulders or blessings. We live, we die ~ this is our journey. The Pink’s have a purpose as well ~ and such a unique journey. 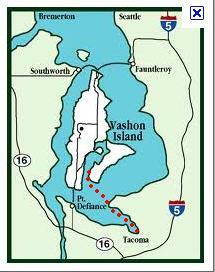 The red dots represent the Pink Salmon path, from Vashon to the Puyallup River. The Pink Salmon Derby is comin’ up…I’ll report back. Until then, check out this video of them in action! Until it looks like this! 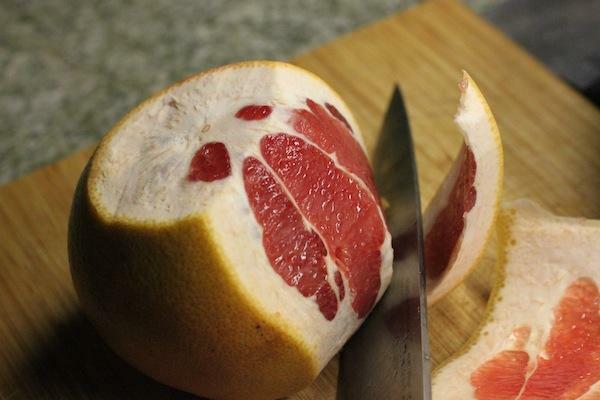 You cut lil’ slivers or segments of the grapefruit and leave the ‘membrane’ behind. You end up with purrty slices for your salad! The dressing is fun…you can get creative with it. 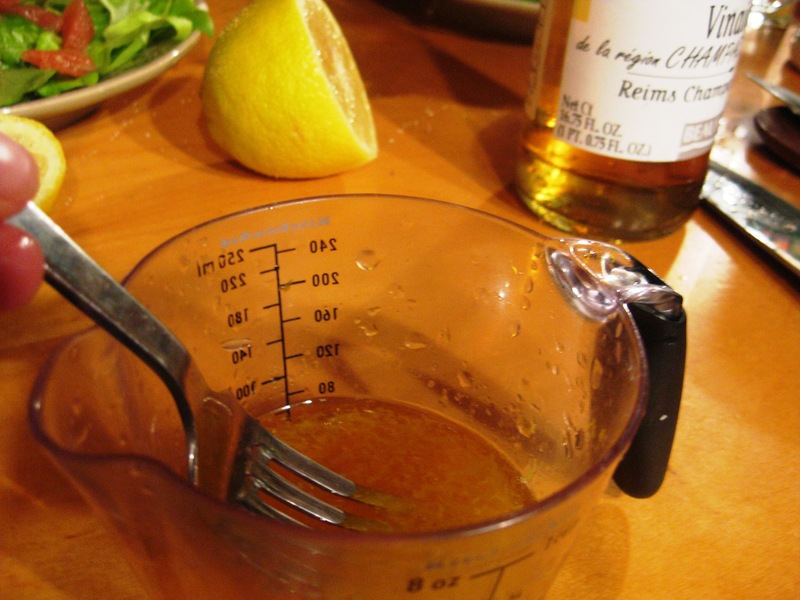 I used some Champagne Vinaigrette, Olive Oil, Lemon Juice, Orange Juice & zest from both. 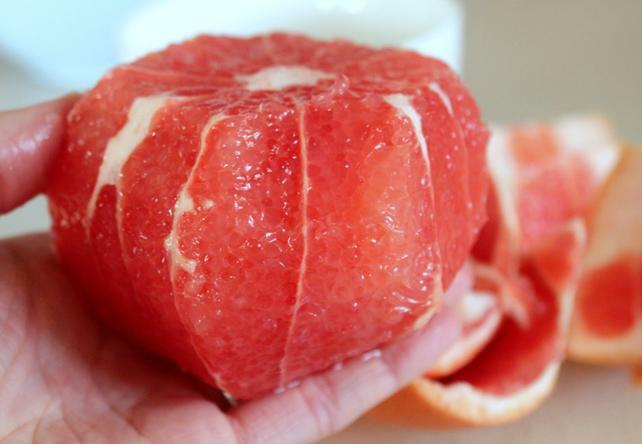 I also added a squeeze of the Grapefruit remains. 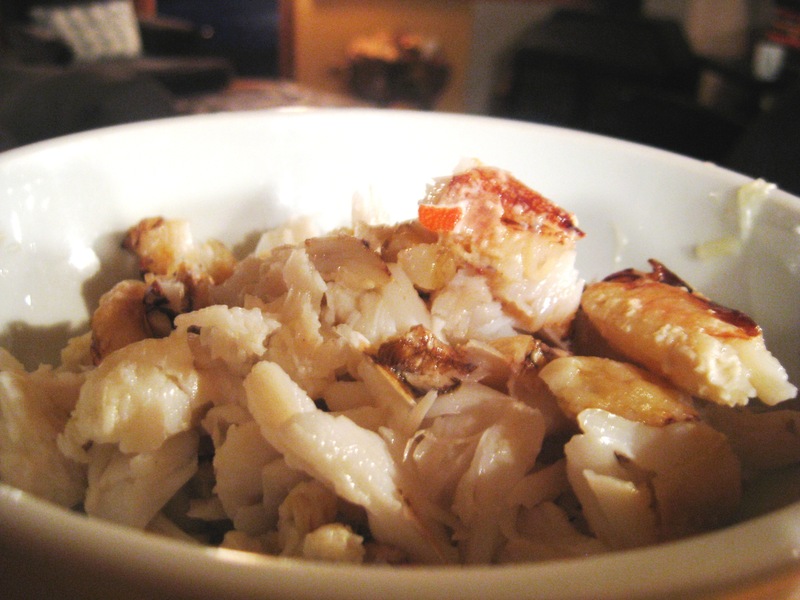 Why not?Add Salt & Pepp to season…but I like to keep it simple so you can really taste the ‘star’ here…..the Crab! Happy cooking, exploring, snacking….and most of all, have an awesome weekend. 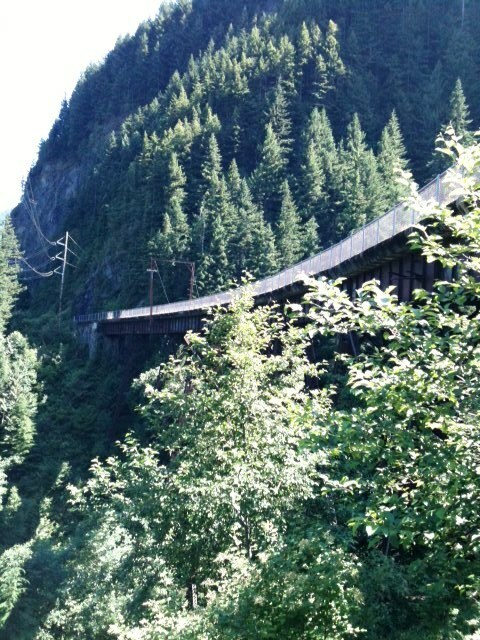 Location: 45 minutes East of Seattle, near North Bend ~ Washington. 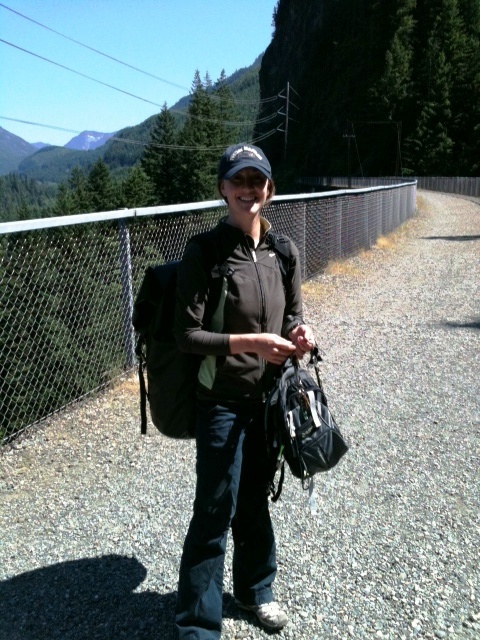 After packing up all the gear (yes, there is a lot to carry! ), the other guides and I arrive early (8am) to secure our spot on the rock. After about a 1/2 mile hike in, we arrive at the top. 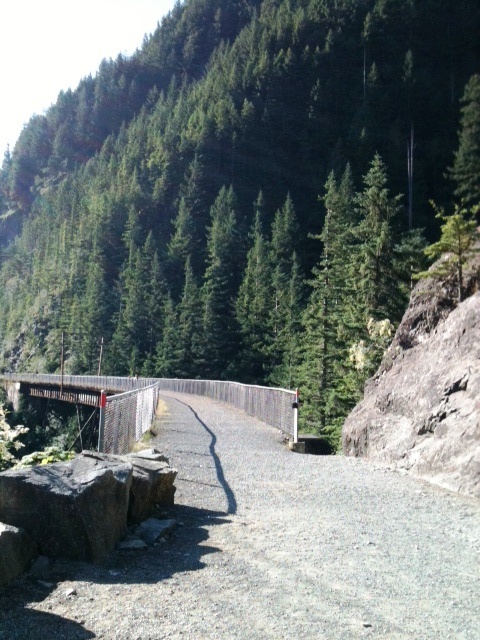 At this spot, Exit 38; there are three climbing walls: Far Side, Neverland, & Interstate Park. After lunch and a couple more hours of climbing, we circle up to close the day. The kids shared their experiences of feeling: fear, trust, accomplishment, encouragement, perseverance…and more fear! They made the connection between asking for help (vocalizing), the support they received on the rock…and realizing this is something they could strive for at home with friends and family. I am always surprised at how receptive the kids are to staying open, learning new things and conquering their fears. Because at the end of the day, they feel so good and it shines through their eyes! The kids and the guides (who encouraged me while climbing as well!) are always such an inspiration. When I first discovered this pose, I fell in love. Afterall, I am a dancer and a gymnast first. It’s fun to play around with poses…especially when you take them outside. Benefits: stretches shoulders, chest, thighs, groin, legs, abs and improves balance. 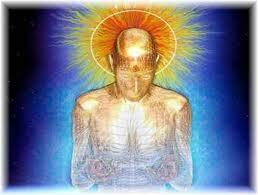 Chakras activated: 1st – 4th & 6th (aka: Base, Below Navel, Solar Plexus, Heart & 3rd eye). *Beginning in Mountain Pose (standing), ground into the left leg as you bend the right knee behind you. *Clasp the right ankle from the inside with the right hand, keeping the knees close. *Press your foot back as you lift your torso, keeping the hips square. *Reach your left arm up or straight out ~ whatever feels good. *Find your Drishti (focal point) and keep your gaze straight with the neck lengthened & the eyes soft. *Sense the grace and the balance in this pose as you feel yourself timeless and in the present moment. 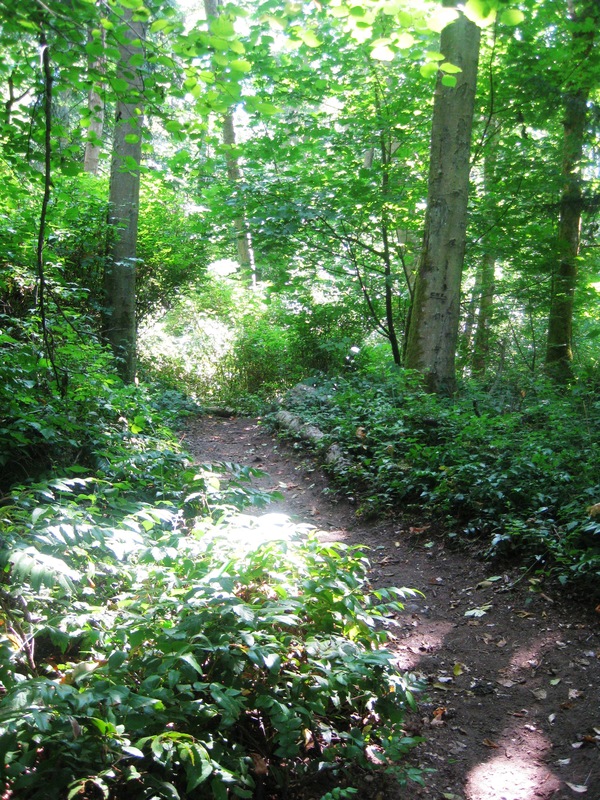 Dockton Forest is the second largest forest on the island, boasting 125 acres. 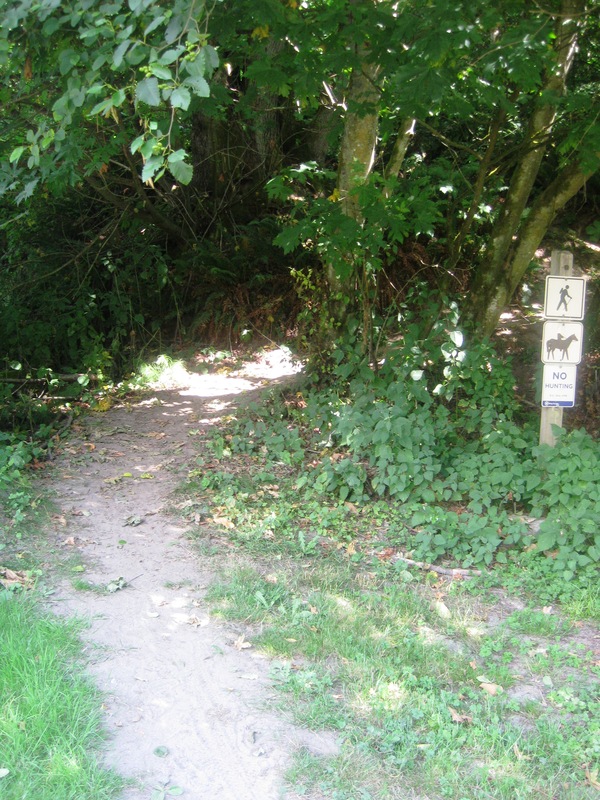 There are a mix of hilly and reasonably flat hiking/walking paths. 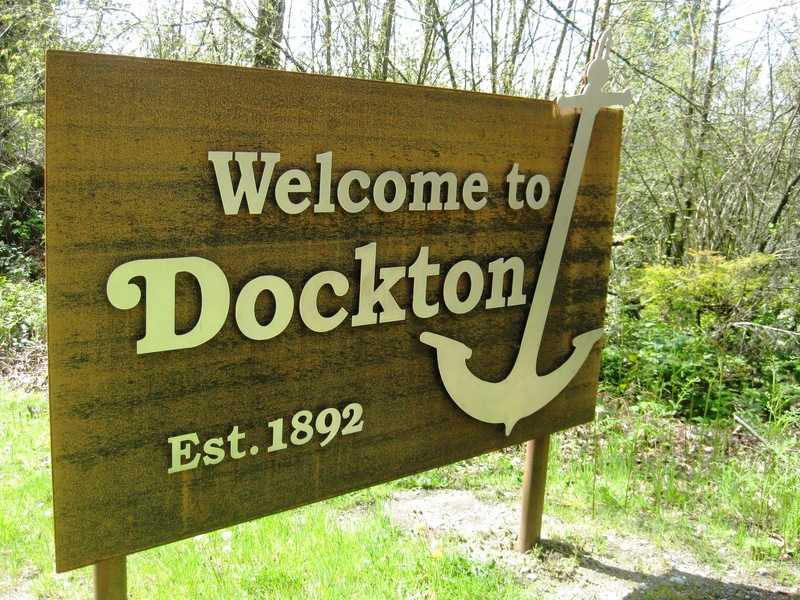 Dockton is also dog and equestrian friendly! 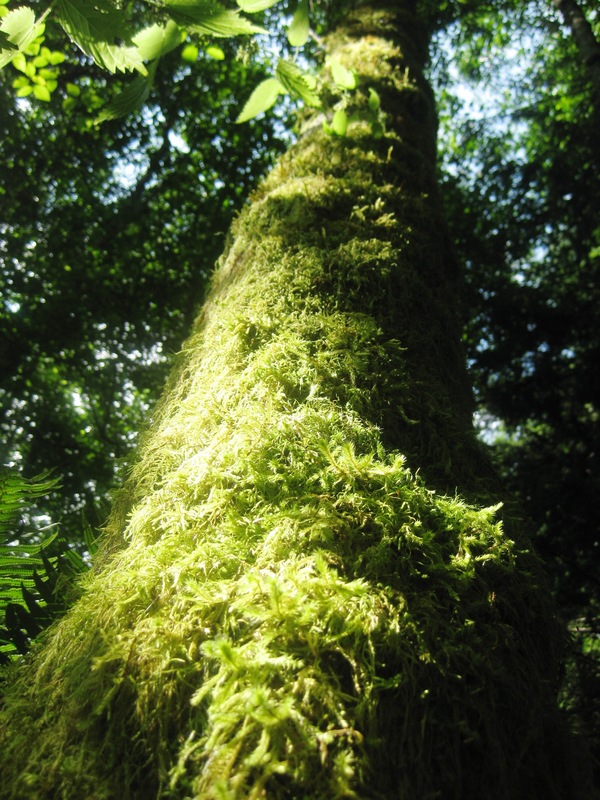 Check out the moss on this guy! This hike was such a great reminder to stay present and let go of thoughts (negative OR positive)…who doesn’t need to unplug once in awhile! Summer is such a great time for fish! If you can get it freshly caught, it’s quite a delicious treat. Don’t be afraid to talk to your fishmonger! Look for sustainably, fresh caught fish and avoid farm raised, if possible. Ok, onto the Halibut! I love pairing light entree’s with fruit, i.e. 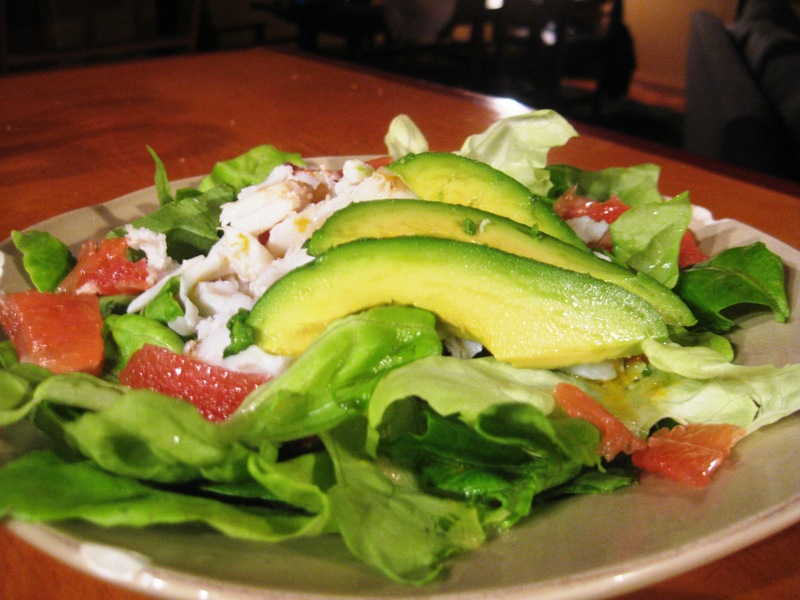 salads with grapefruit and fish with citrus! 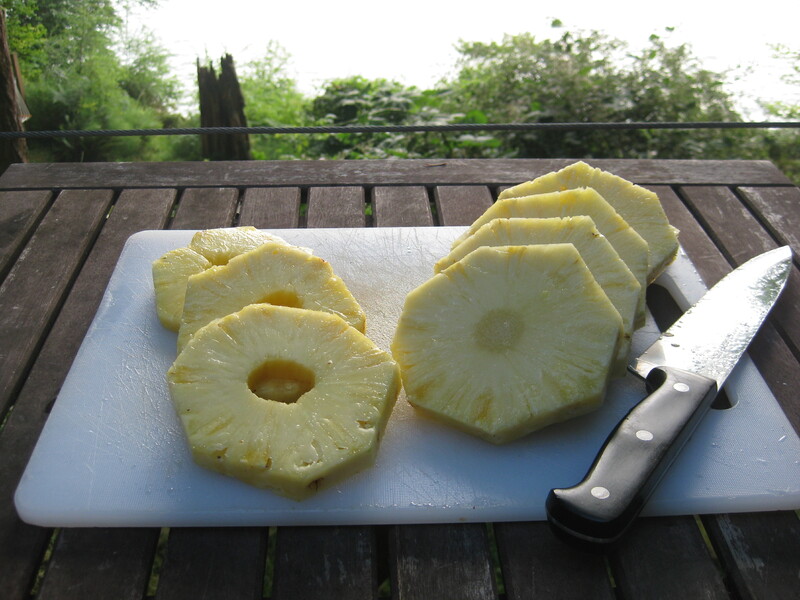 This gave me the idea to grill up some fish and pineapple…for a filling and fulfilling summertime dish. 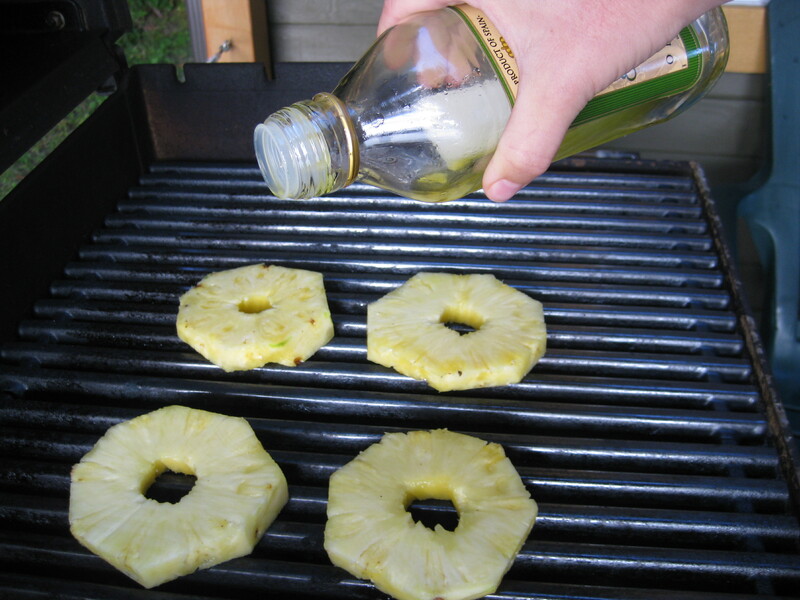 Get your grill fired up, stick those juicy suckers on ~ then drizzle Olive Oil on the remaining side. Flip after 3-5 minutes ~ they'll be nicely brown. Set aside. 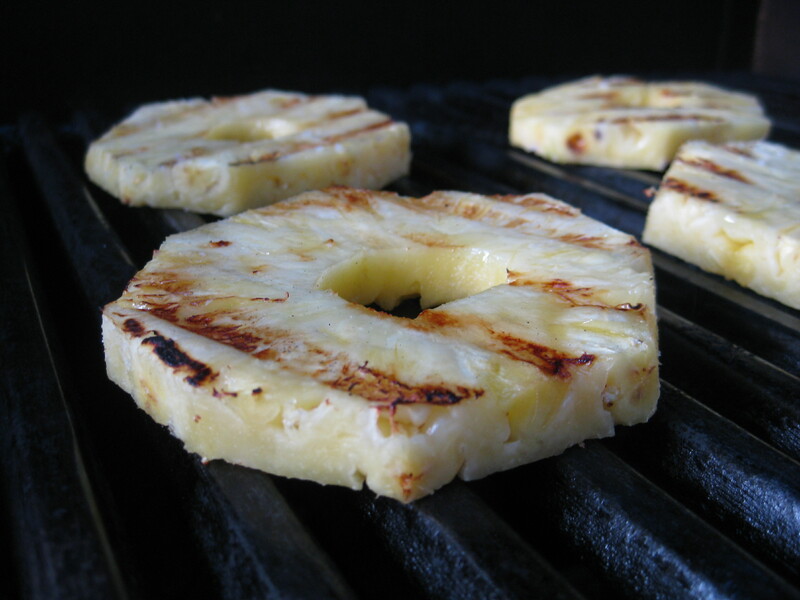 Ok, even though I said “grill,” once the pineapple is done, we’re actually going to leave the grilling behind. 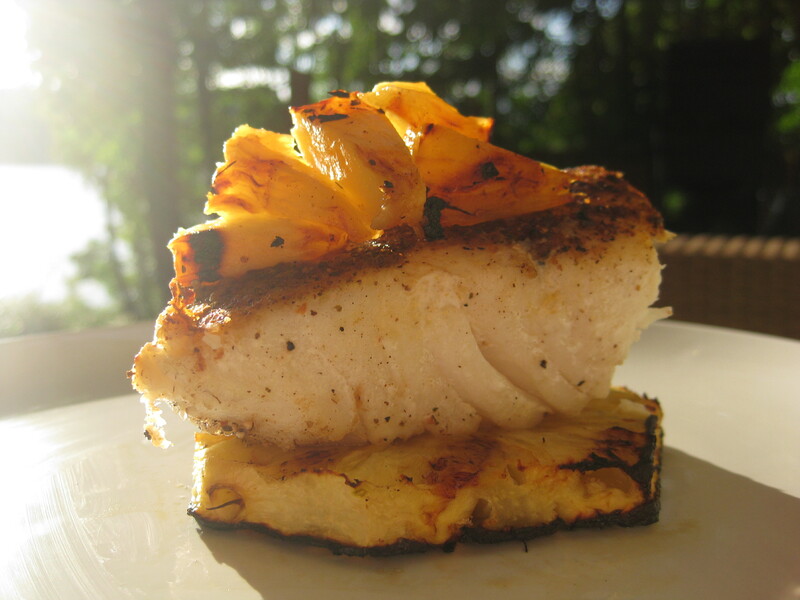 The truth is, fish is such a delicate food ~ it usually falls apart on the grill (except tuna & some others). Pan frying fish has been my secret to delcious meals. -Heat your oven to 375. -You start with Olive Oil and a hot pan (that means medium-hi heat). -Meanwhile: you’ve unwrapped your fish and seasoned it with S&P (both sides). -Throw that puppy in the pan, skin side down. -Cook for 4-6 minutes, depending on how thick your piece is. When the raw middle starts to fade away, flip it. -Now, I choose to remove the skin. It usually comes right off. I season this bare area with S&P. -This side is about 4 minutes. -I flip it back to the ‘bare non-skin’ side; and the final touches transpire in the oven! -Cook in the oven for about 5 minutes. The final result will look something like this. By extension, exercise that focuses on muscle tissue is yang; exercise that focuses on connective tissue is yin. If you gently stretch connective tissue by holding a yin pose for a long time, the body will respond by making them a little longer and stronger—which is exactly what you want. Here is a sample Yin practice. You can do this at home ~ it should take you about 20 minutes. Start in Child's Pose, resting & become aware of your breath. Coming onto all fours, inhale as you drop your belly & glance up ~ Cow Pose. Exhale as you: drop the tail, rounding out and moving into Cat. Curl the toes under, press the hips back ~ downward facing dog. Spread your fingers wide, release your shoulders away from your ears. Breathe. Bring the right leg through into Pigeon. Slowly lower your torso over your leg and breathe deeply. Shoot your right leg back into downdog; now try Pigeon on the left side. Extend the legs and reach out, lengthening the tailbone. Hands lay on shins or grab feet if available to you. Release the head & breathe. Using a Bolster is optional. Allow your legs to lay vertically; recirculating all the blood, lymph nodes & more. Savasana. Gently lie back onto your mat, allowing all limbs to fall open & relaxed. Close your eyes and breathe. Most Yin poses can be held anywhere from 5-15 minutes at a time. 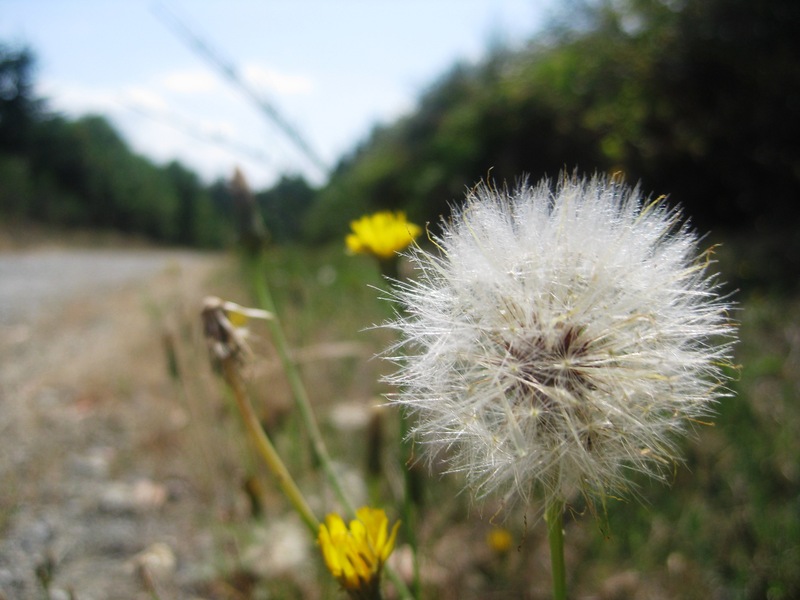 It is suggested to focus on your breath, staying present…allowing all thoughts to dissolve. Since we like to talk about ‘balance’ here… 🙂 …having some sort of Yin activity in your regimen allows you to round out your physical practice. Yin activities can really enhance your Yang activities; giving your muscles that extra strength, flexibility, etc. To counter your running/biking/hiking/weights; Yin will also give you that time to slow down, stop pushing, destress & let go. If you opt out of Yin Yoga, you can also try: a walk, meditation, Qi Gong, or breathwork. 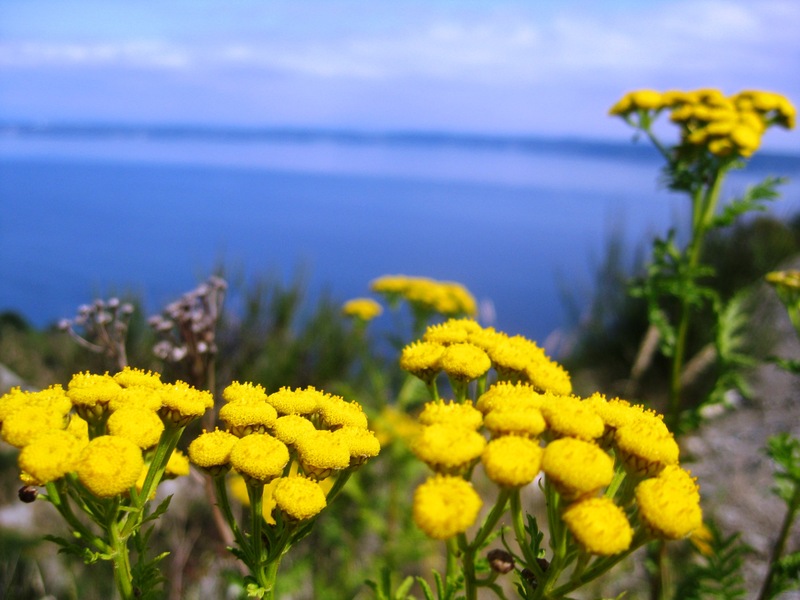 This new category will definitely be making an appearance a time or two ~ as I am learning that Vashon is truly a special place. has 2 low tides and 2 high tides. The low tides are especially great for long beach walks, and discovering the incredible marine life (revealed only at super low tides). 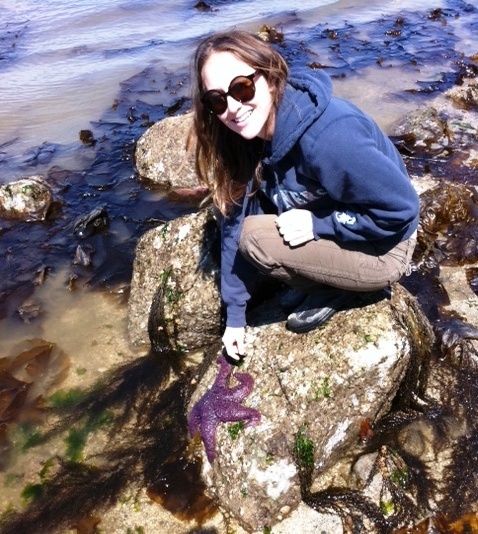 The interesting thing is, while all the starfish below look a bit different ~ they’re all the same species! They have many more limbs or ‘rays’ than the average star, usually 16-24. Moving @ 1 metre per minute & using their 15,000 tube feet, they’re on the move! Maybe your summer is about having fun, or getting fit ~ but maybe we can set an intention to ‘slow down’ ~ to take it all in. Take a bath, go for a walk, or sit and read in a park. What is your intention this summer? Alright! 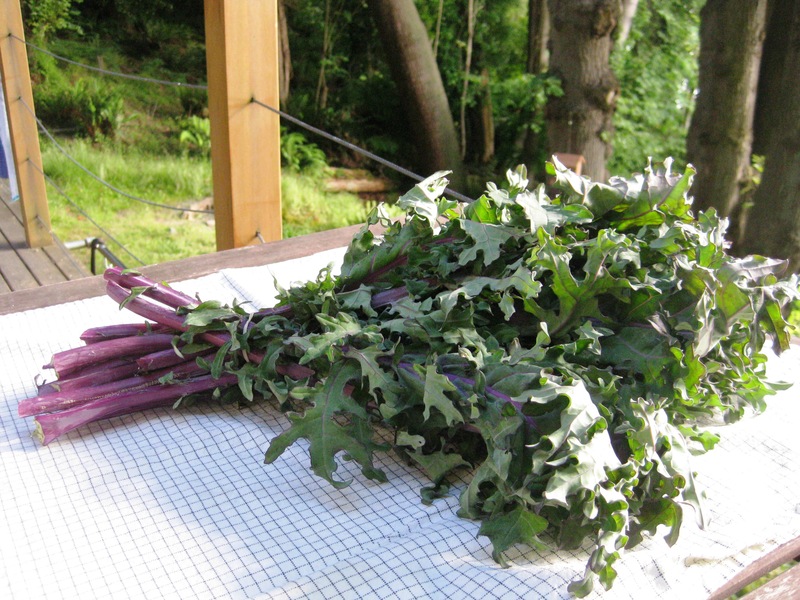 I got my Kale (from Hogsback Farm ~ check out my last posting) and we’re ready to cook it up. Usually, I do a steam or a gentle stir fry with my Kale. Tonight I wanted a little something more. I got playful…and experimental. *In bowl, whisk the: oil, juice of 1/2 lemon, red pepper, garlic, S&P. *Lay out the steaks on your cutting board. Cut small rings, about 1/2 inch wide. 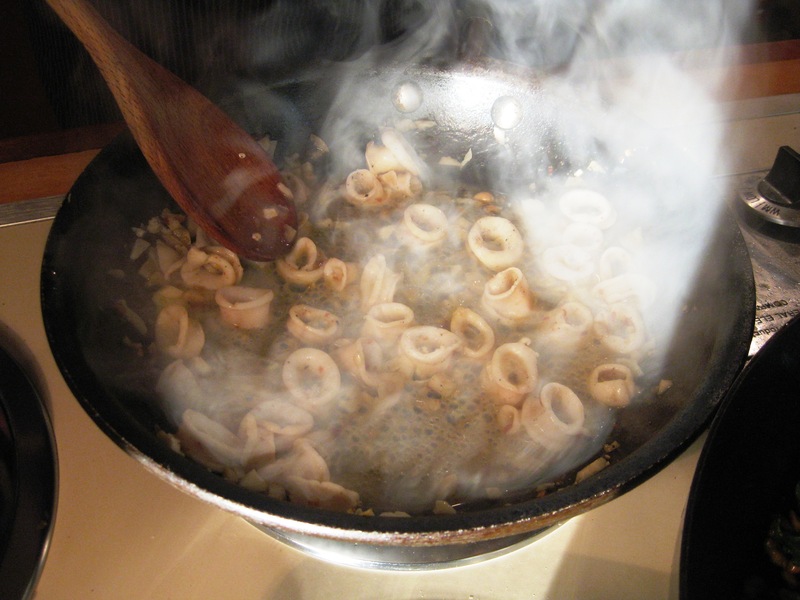 *Heat olive oil in pan & throw in the rings, pouring the oil mixture into the pan ~ over the calamari. *Gently move around until cooked: 3 minutes. *Wash kale and cut or rip into pieces. *Warm the olive oil on med-hi heat, then saute onions till light golden color. 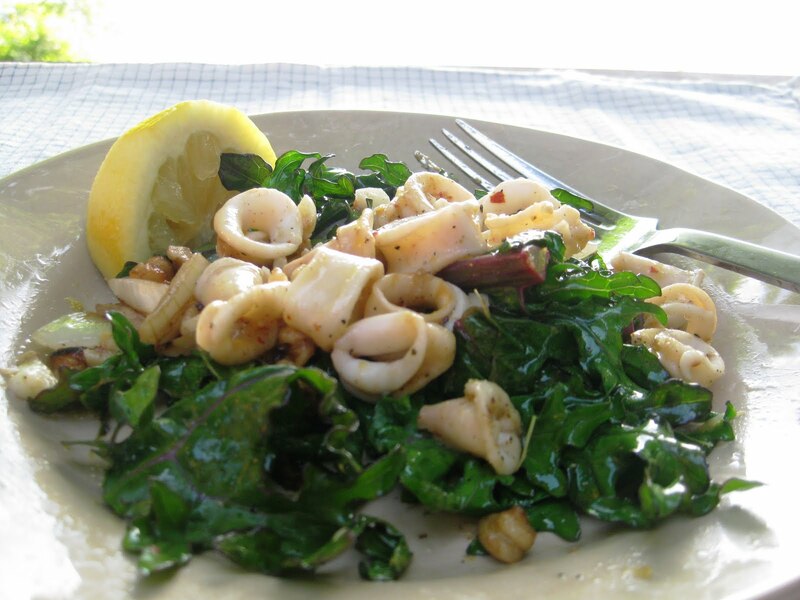 *Toss in the Kale and gently move around/toss, cooking for 3-5 min. Most of my postings don’t have detailed measurements and/or instructions, mainly because it really depends on the individuals liking. For this recipe: use your intuition ~ and add more of the ingredients you like and minimize the ingred. you don’t care for as much (i.e. lots of onions but little garlic). 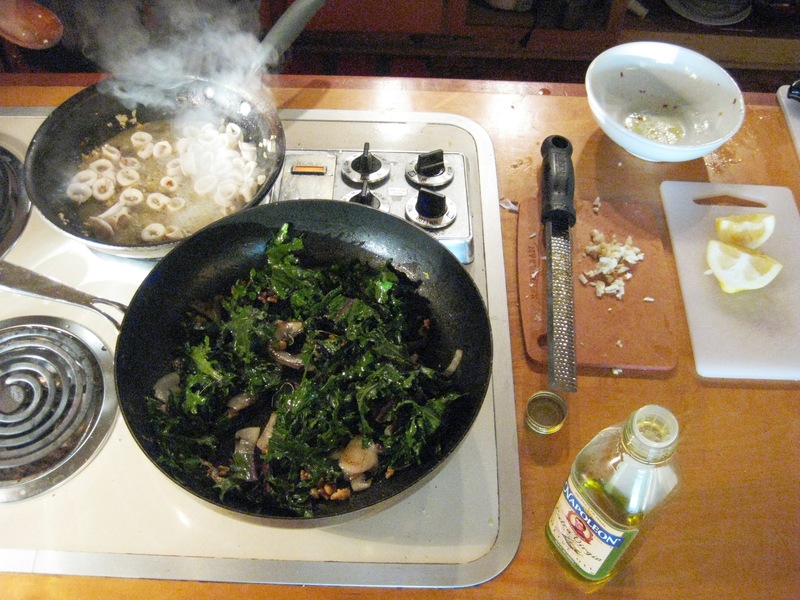 I personally like, equal amount of onions, walnuts & Kale ~ so you get a bite of each with every forkful. 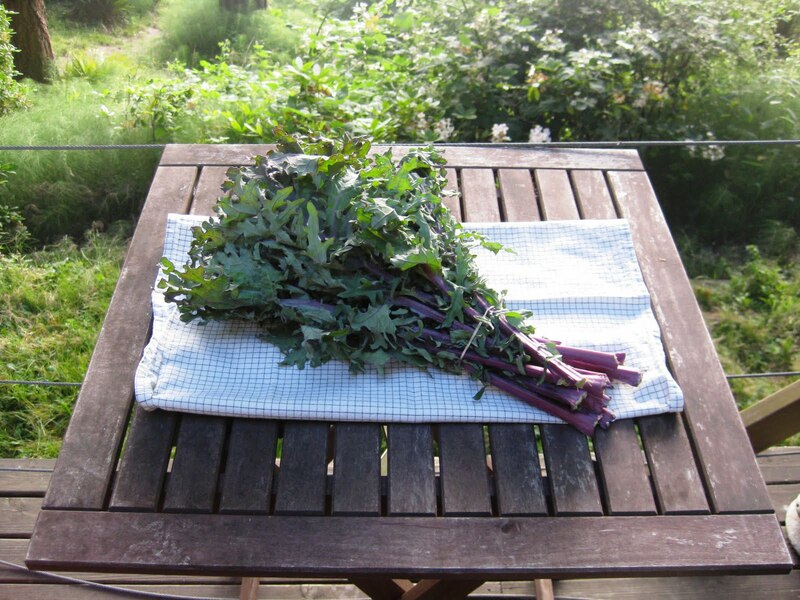 Also, be mindful of how ‘soft ‘ you like your Kale; as the longer you cook it, the softer & more wilted it will be. 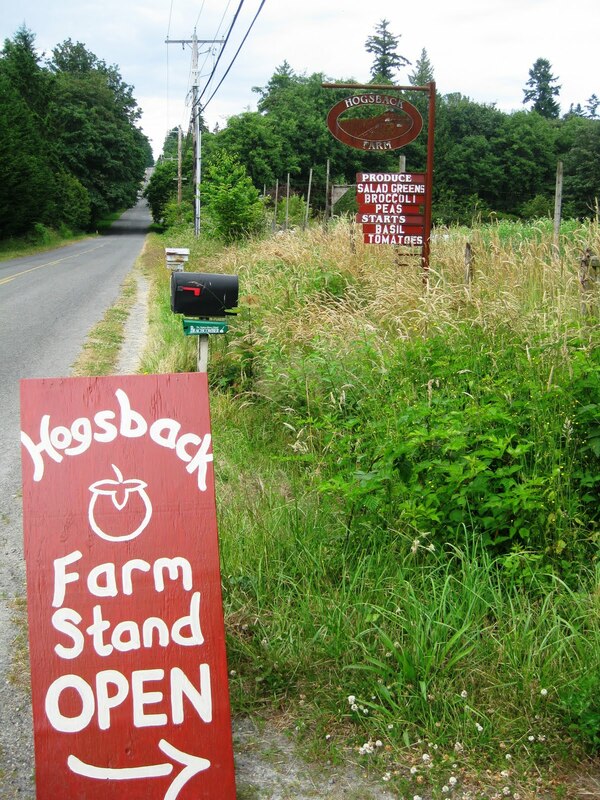 “Farm to Table”…..This might become a reoccurring Blog subject; seeing as I now live on beautiful Vashon Island ~ where many small farms operate and flourish. Fresh, organic goods are available left and right here…so it only feels natural to capture it and take you along for the ride. 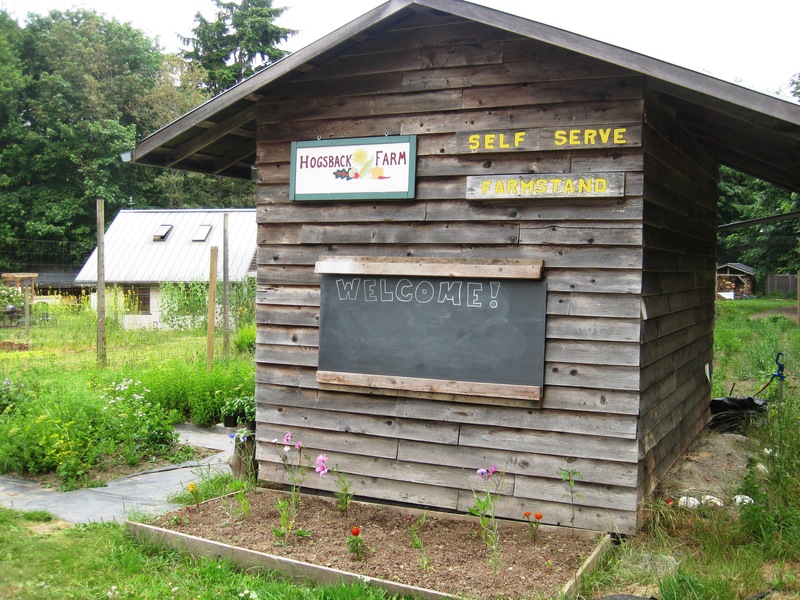 First up is: Hogsback Farm! A really cute farm, exploding with everything green imaginable. It is summer folks (finally)! This means: Green salad mixes, Kale, Mustard Greens, Cabbage, Broccoli, Leeks, etc! Hogsback also had some home starters like: Basil. 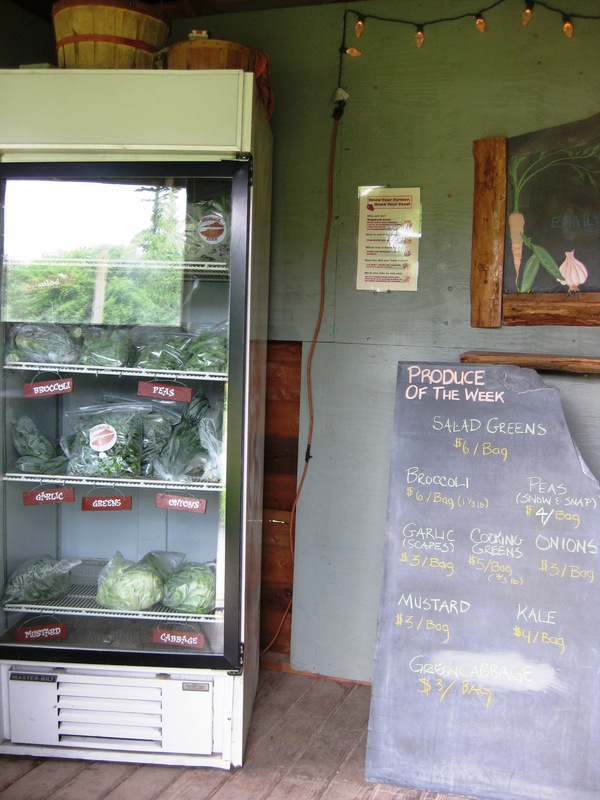 These are called “Farm Stands” or “U Pick”…and it’s pretty amazing (and addicting). You roll up, grab your goods and drop your cash in the money box. 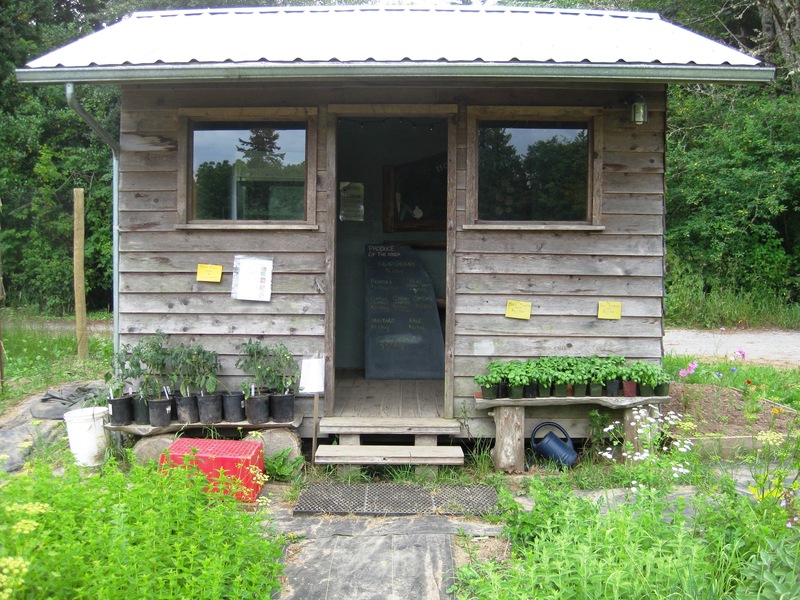 Although most of the Farm Stands cash boxes are securely nailed down now…it’s still an ‘on your honor’ system which makes me say, “aww” ~ and smile. 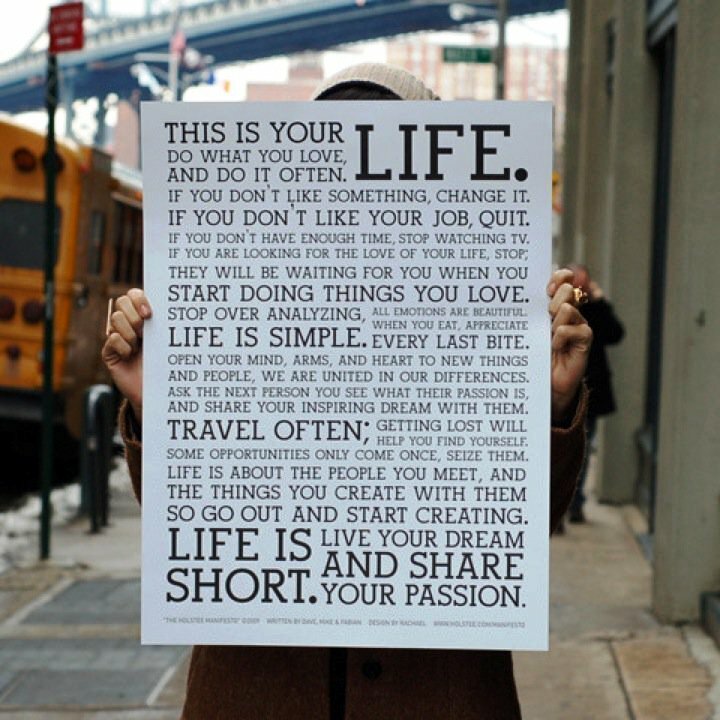 Simple livin’ friends! It’s nice to be able to support local farmers. While meeting some of these locals, I noticed how hard they work ~ and how passionate they are. (Even after one day of volunteering on a farm, this is apparent!) Hit up your local Farmer’s Market! 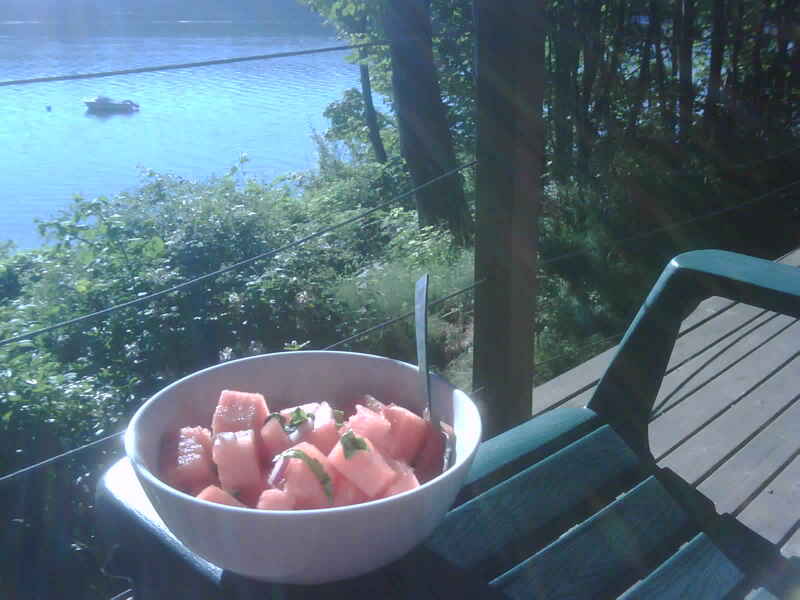 Mmmmm, summertime. Bliss. This healthy salad is super refreshing. Not only after a day in the sun ~ but any ol’ time as well. Watermelon is incredibly water dense, which makes it great for hydration. I don’t really measure the ingredients, so just be playful and taste as you add. *They’re a good source of the potent carotenoid antioxidant, lycopene (which travel through the body neutralizing free radicals). I became a fan of Gwyneth Paltrow after discovering & reading her lifestyle Blog, “GOOP.” It’s super fun, full of random but significant info and she is a healthy food advocate. Celeb or not, I am always looking for inspiration. Of course, I am also always eager to learn more about the power we posess, how we live our best self and how to fuel our mind/body/soul. In this video, Jessica Seinfeld (yes, Jerry’s wife – she is also pretty rad) interviews Gwyneth. They both just released cookbooks with healthy, chemical-free cooking in mind. Gwyneth touches on how she discovered Macrobiotic eating while trying to help her father overcome his throat cancer. She goes on to say how she kept reading about “how our diet effects our health.” I truly believe this as well. MAN!!! If you haven’t seen this guy, you’re in for a treat. Below I’ve posted two YouTube video’s for you to view. 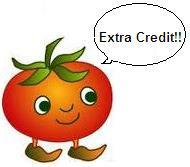 Why aren’t we teaching kids about food . . . and where it comes from? Why don’t we have a class like this in middle school and/or high school? 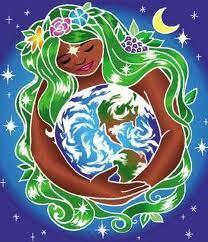 We have to evolve as our world changes, as our food changes and as our knowledge of these things expand. 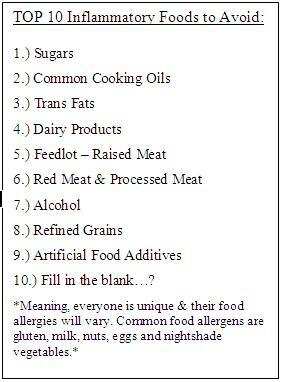 Right now, we know more about disease, diet and prevention ~ so let’s take action and be part of the solution. . . not the problem. Video #1: is short (2 min), just to give you a taste of his work. Jaime received an award from TED. This isn’t an everyday thing, but I try to keep a balance and add in greens throughout the week. I say, “I feel strong,” because I am doing something great for my body, listening to my intuition and I am being proactive in my health journey. Fruit: (minimal): banana or blueberries seem to taste best. Extras: Coconut oil, honey, stevia, goji berries, acai, avocado, almond butter, cacao nibs, coconut water, cinnamon, maca. Let me just take a moment to praise HealthForce. While working at Whole Foods in the vitamin dept., I learned valuable info from trainings and the Whole Foods University education I received. HealthForce is a special company ~ with stellar products and high standards: pure, vegan and raw. Check out some of the ingredients in the Vitamineral green’s: Nettle leaf, ginger root, broccoli juice, kale juice, parsley juice, chlorella, nori, kelp, enzymes…and more!! eeee! Feed your body, mind and soul! Yay! I immediately remembered back to the day in Kauai, when I ran into Laird himself . . .
As I paddled down the Hanalei river on my Stand Up Paddle board, I hear a guy shouting out paddle pointers. As I realize what’s going on . . . (“Oh! He’s talking to ME?”). . . I try to listen to Laird’s instructions and focus on my paddle technique. It was hilarious. I was all flustered! I thanked him for the advice…after all, this was coming from a PRO. As I kept paddling, the people I was with (ahead of me) were in awe and totally stoked on the encounter (as was I!). Laird’s energy was super present and strong. I’ve felt inspired by him ever since. . .
About 6 months after that, I ran into Laird and Gabby (Gabrielle Reece, wife and pro athlete) in Venice Beach. Although I don’t have a good story for this run-in . . . I took this as a sign to stay connected to him and research more about his life. 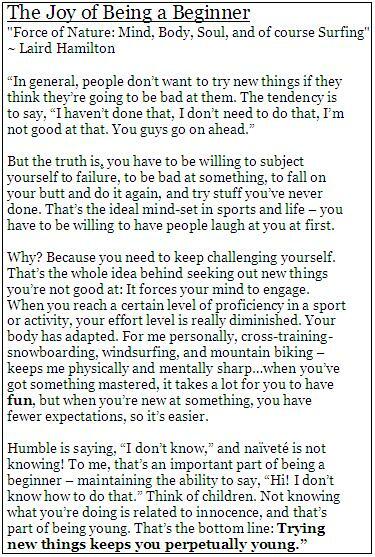 After realizing my desire to combine outdoor fitness to my yoga and life coach practice ~ Laird’s book couldn’t have come at a more perfect time. Divine!! I think it’s so important to find people, places and things that inspire us. Follow your excitement! Laird really “gets” that our body, mind and soul are all connected…and need to be fed on various levels. He also is a big believer in being adventurous. . .trying new things. . .to lighten up and have FUN!! This really applies to our relationship with physical activity. I see so many people uninspired and burned out by their regular gym-routines. Getting outdoors, and mixing up your regimen works the brain and body beautifully!! Have you ever felt better after listening to a song or an album? 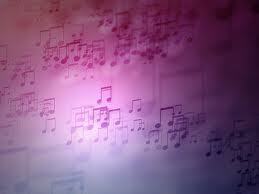 Music can be a huge releaser and of course, a form of expression. Just as certain colors envoke certain emotions, it has been mentioned in studies that certain notes or chords envoke certain emotions within us as well. Lyrics alone, can be so empowering. When I was younger, music saved me. I wasn’t able to feel certain experiences… and I wasn’t able to ‘tap’ into my emotions. Music provided this for me ~ and still does. I will leave you with a couple special songs I’d like to pass on. Enojy! *Cacao– is rich in antioxidants, high in dietary fiber, magnesium, iron and other essential minerals. 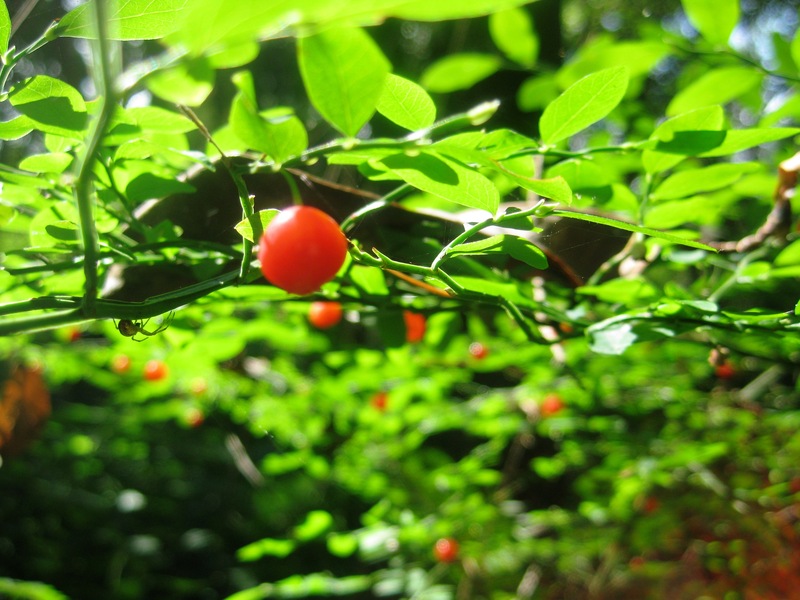 *Goji– “arguably the most potent superfoods known”; supporting the immune system, rich in Vit A, antioxidants, 20 trace minerals. (FYI- ounce per ounce it contain more Vit C than oranges, more beta-carotene than carrots and more iron than spinach) !! 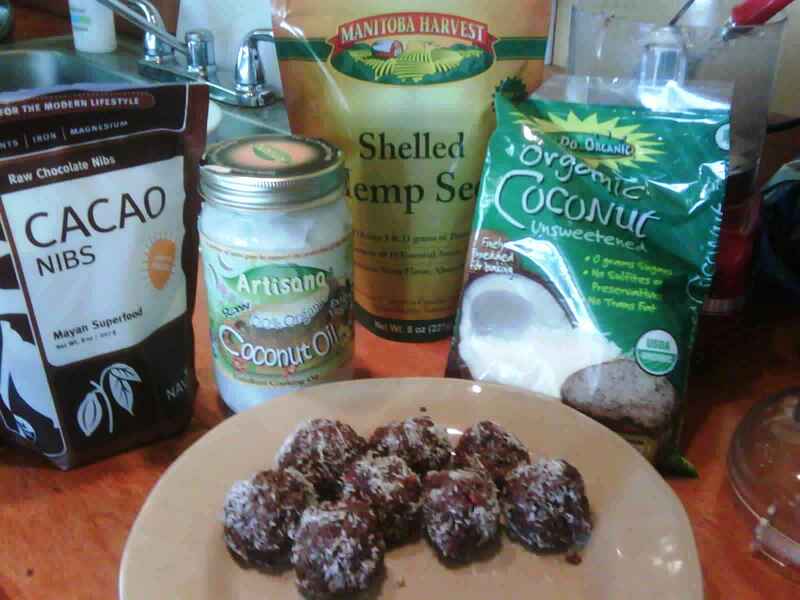 *Coconut oil– healthy, plant based & cholesterol free. 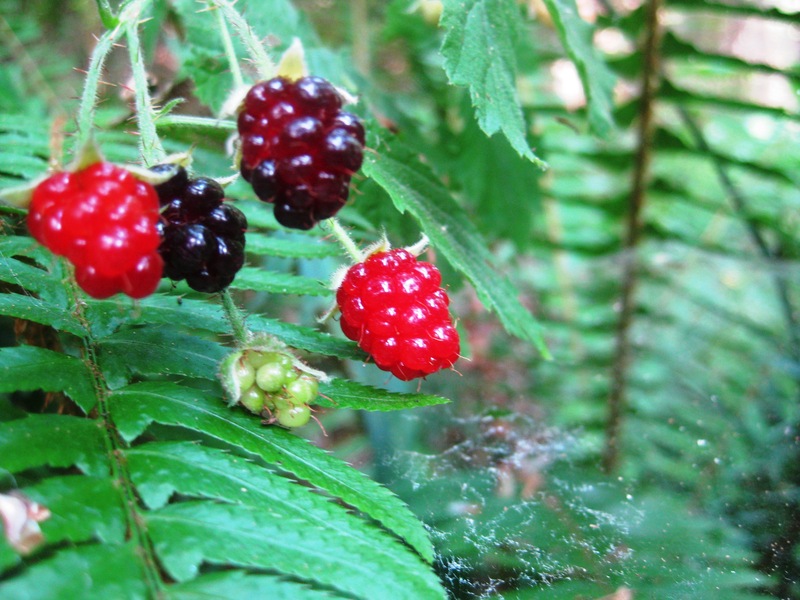 Delicious & can be used topically for rejuvenating skin & hair. *Maca– is praised for increasing stamina, booting libido, and combating fatigue. 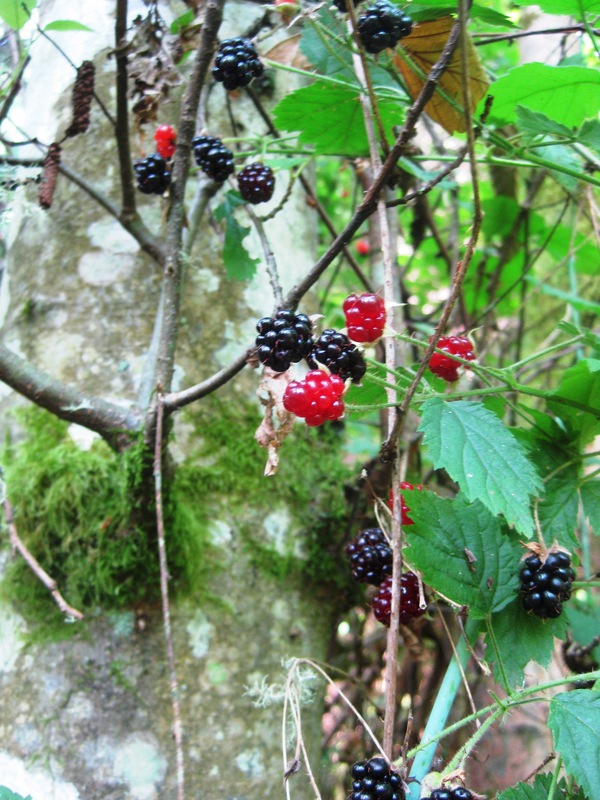 It also enables the body to regulate stress factors imposed on it. Below are the stats and info ~ ENOJY!! 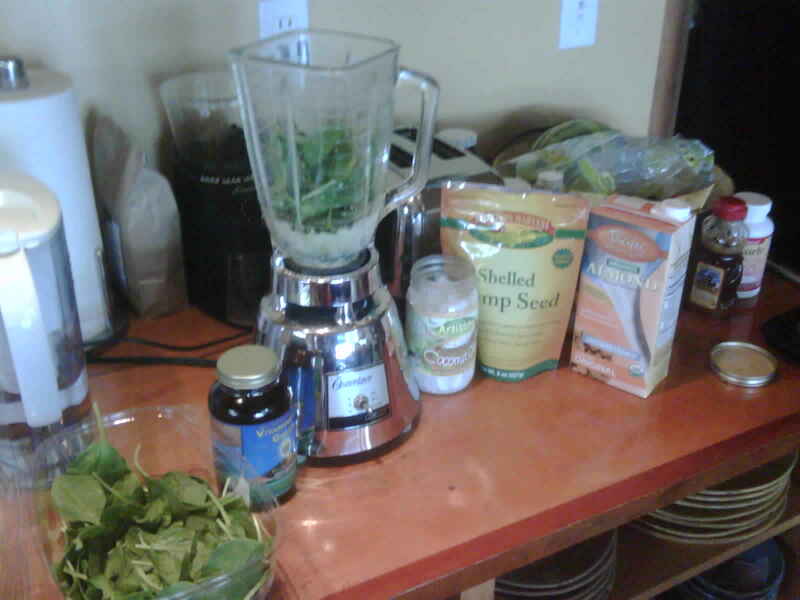 ~Put all of the yummy ingredients (EXCEPT goji) into the food processor and blend. 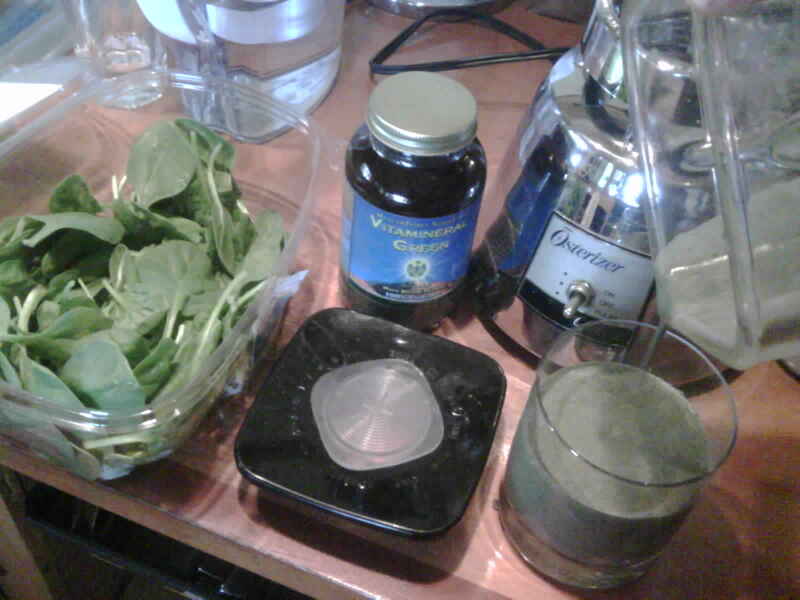 ~Now add the goji and blend again. ~Taste test! 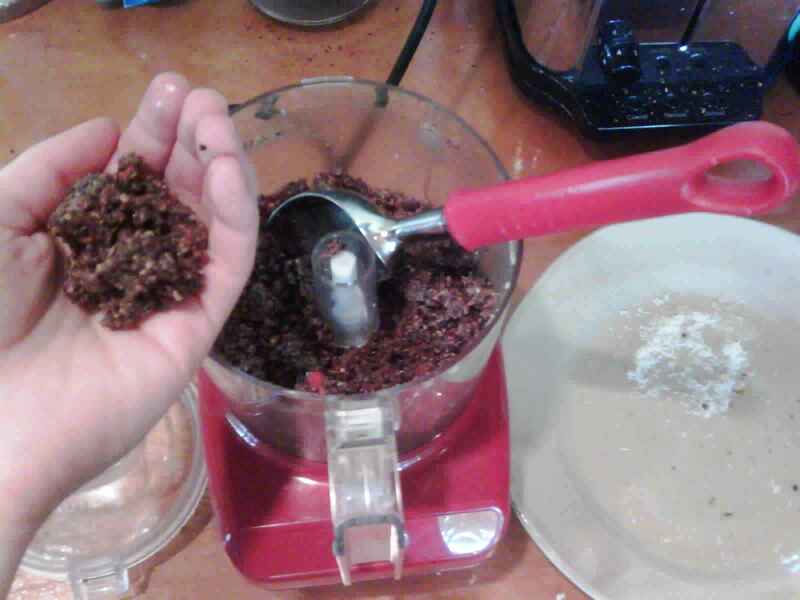 Once you’re all done blending and adding, use an ice cream scooper to form small cacao balls. Roll the balls in coconut. Keep refrigerated or in freezer. ~Use your best judgement. This is a playful recipe where you should add more or less of the things you like. You may need to add more sweet (honey) or more salt to your liking. This theory, if you will ~ comes from the idea that: we are our thoughts. That our destiny begins with our thoughts, and if we want to change the outcome of our life…we start with paying attention to our thoughts. Another idea here, is that we are manifesting what we’re choosing to ‘bring in.’ That’s motivation alone ~ to release any negative thinking and shower yourself with positive words. I have heard many times, “change your thoughts, change your life.” My favorite… “What we think about, we bring about,” my yoga teacher constantly reminds us. It’s very interesting to observe. Today, notice your thoughts. Are there any current themes? Are there any patterns? What about any judgements? “Nobody can do the work for you. I have to untie my own knots. I have to develop the strength to disempower my own habit patterns. Nobody can do this for me. And this is what the practice is all about. Quieting the mind means disempowering the habit patterns of thinking, judging, competing and attachment and being open to what I am feeling or knowing. In other words, “the teacher” waits patiently behind the busy mind. And when I quiet my mind (yoga practice) and experience where I am and what I am feeling, the wisdom starts coming through. Real knowledge of whom I am and what I need manifest as it is supposed to. And there the real yoga begins “living my truth. She starts as a seed, small and fragile ~ and sprouts up . 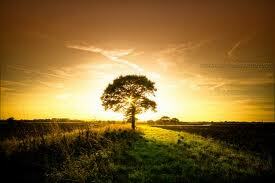 . . growing like a beautiful tree. Grounded to mother earth, rooted, stable and strong…her knots show, but beautiful they are. 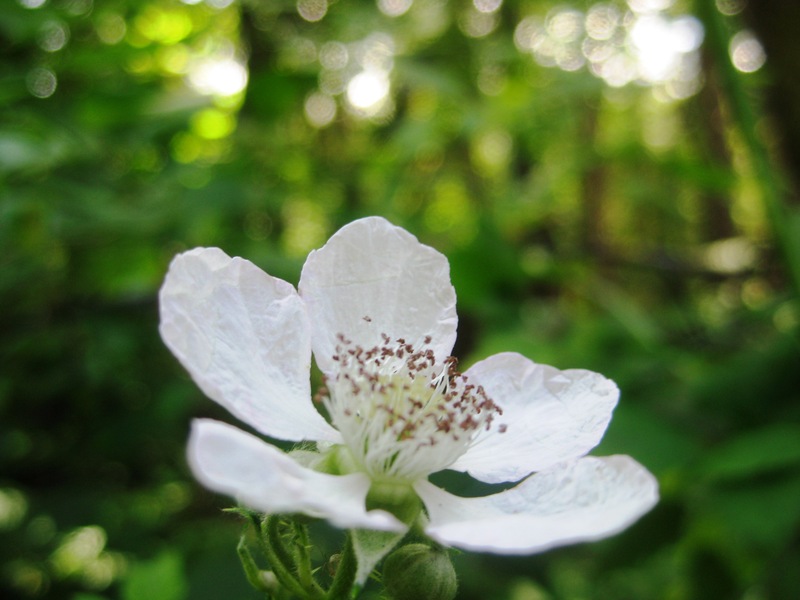 Resilient and free…she flourishes and shines wherever she may be. Expressive and creative she stretches her arms to the heavens, reaching for her dreams and opening to grace. Surrendering to the sun, the moon, the stars…this sacred space. 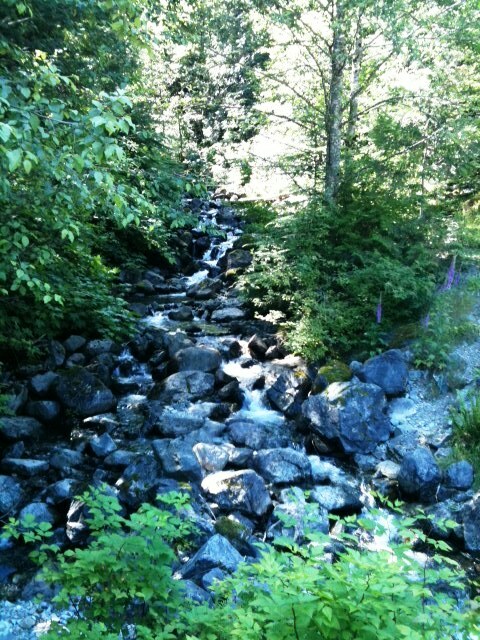 So much to give & knowing how to receive; living in gratitude, she opens up as her leaves flow with the gentle breeze. 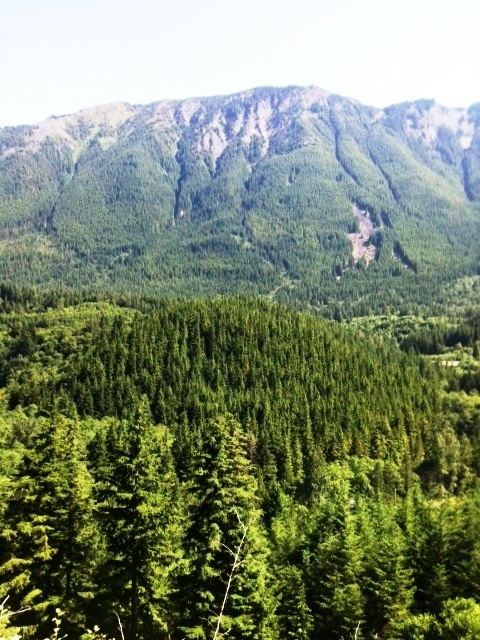 This is a reminder to grow wild and free, alive with beauty ~ like the beautiful mother earth trees. Fast forward…and here we are! It’s SO green here! 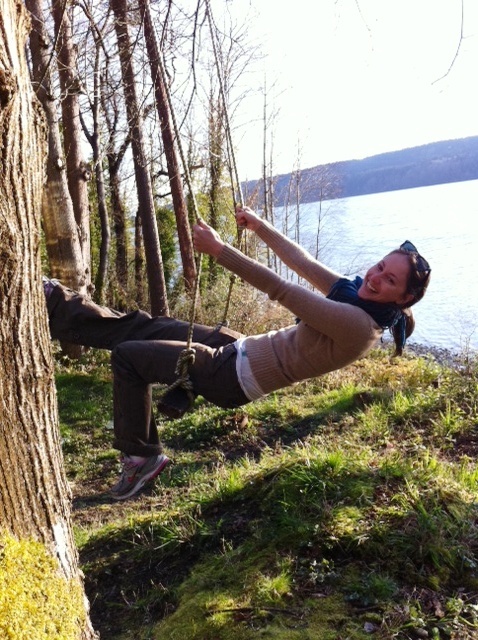 Living on Vashon Island is definitely an adventure. 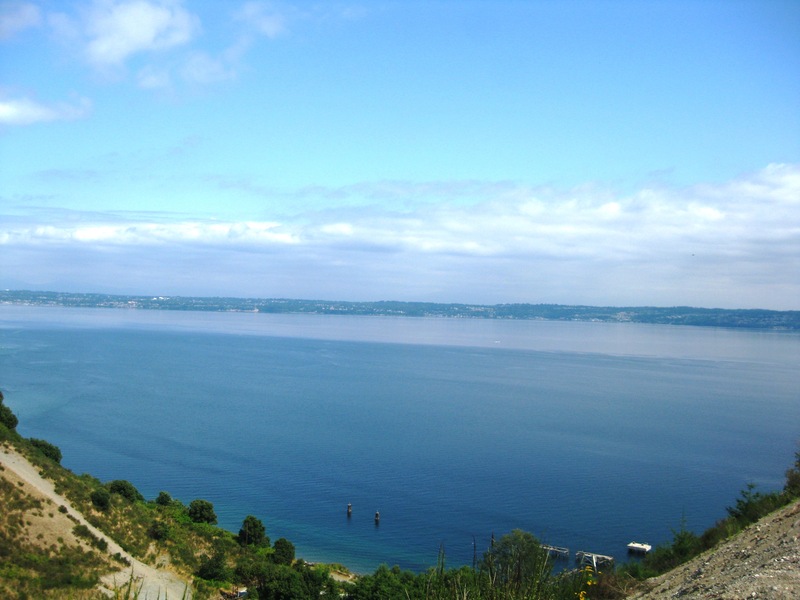 There are so many things to discover: the local farms and their Farm Stands, the endless hiking trails, the water sports, the Ferry system, the hippie community ~ I love it all. Step 1.) steer clear of dairy and sugar. Now that I’ve prepped my body a bit, I am using “The Body-Smart System” by Helene Silver to further support this health movement. -Inner Beauty Herbal Tea (peppermint, alfalfa, dried sage & oat straw). Cleansing is a wonderful way to “clean the dirty pipes” if you will. Wish me luck on this journey…time to get shopping! We can choose to focus on the positive. Gandhi said, “Be the change you wish to see in the world.” Today, take 20 minutes to write 100 things you’re grateful for. Today, let’s see if we can BE that attitude of gratitude. 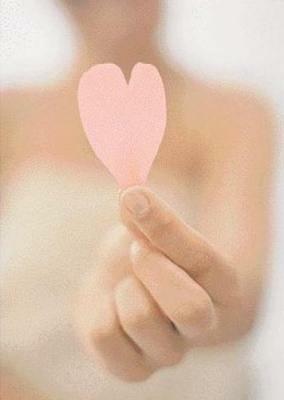 It is a day of Love. . . Happy Valentine’s Day. 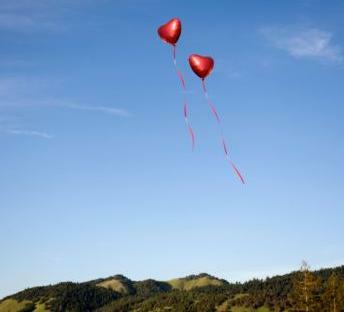 Today, we can celebrate love; whether we’re in a relationship with someone or not. 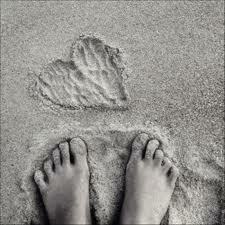 This day is about the love and relationship we have with ourselves, as much as it is about the one’s we love. Today, do something for yourself. In “The Artist’s Way,” Julia Cameron suggests taking yourself out on a date, or an “excursion.” All friends, family & lovers ~ sorry! This is a time you set aside, just for you. To nurture, inspire and replenish yourself. This might include: (but not limited to) a walk on the beach, going to a movie, writing in your journal in a park, visiting an art gallery, taking a hike in nature, browsing an antique store you’ve been wanting to go to. . . etc. So many wonderful things are revealed to us in solitude. During that quality time we spend with ourselves; we learn what’s going on in our lives, what we’re avoiding and what we’re really feeling. We get to listen, receive clarity, and feel our soul being fed. And, although your inner voice might try n’ talk you out of it (“I’m broke”. . . “I don’t have time”, etc. 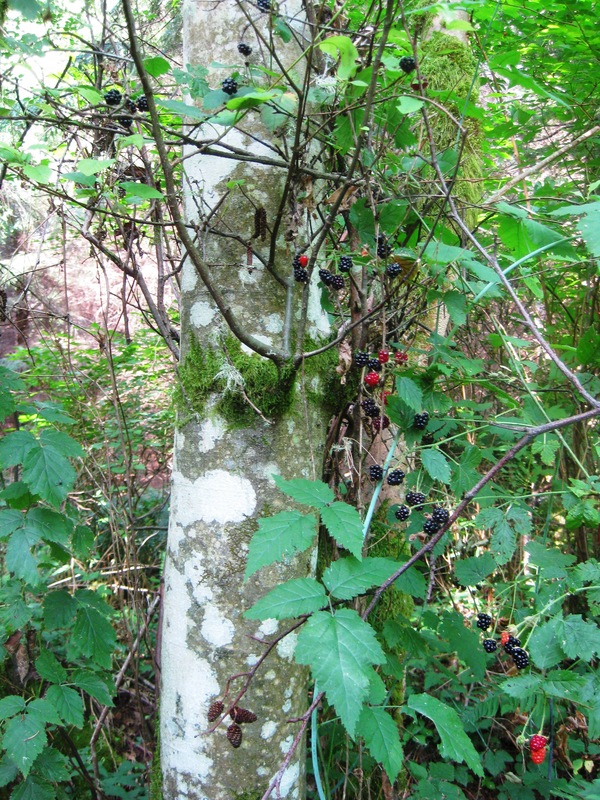 ), recognize these invasions and the resistance. But here’s the thing: “what we resist, persists.” If we don’t allow for this time of self-intimacy, whatever we’re feeling/avoiding persists. So, think of it as a double whammy ~ you get to take yourself on a fun date and simultaneously, release some of that brain energy/stress!! Commit to this date and treat yourself! You deserve it. This is a subject I am close to. Yoga can help heal anxiety: revealing symptoms and helping to address it’s root causes. The body and mind both respond to various yogic tools, including: asana, pranayama, lifestyle adjustments and tuning the senses inward. I believe that all these tools provide a wonderful combination, aiding in healing anxiety. Although a good asana practice (Vinyasa, Bikram, Hatha Flow) can help burn off nervous energy…sometimes a more passive/relaxing approach is just what the student needs. Depending on the person, a Yang practice such as Vinyasa can actually be counter intuitive to your anxiety. Trying out a Gentle Yoga or Yin Yoga class can ease you into a sweet surrender and leave you feeling nourished and peaceful. While reading Yoga Journal magazine, I came across this amazing article and I want to share it with you. Thousands of years ago, what Patanjali & the Buddha both taught is now being supported by Western scientists. Through new technology, we are learning how the effects of meditation (even in small doses) on the brain can be life changing. 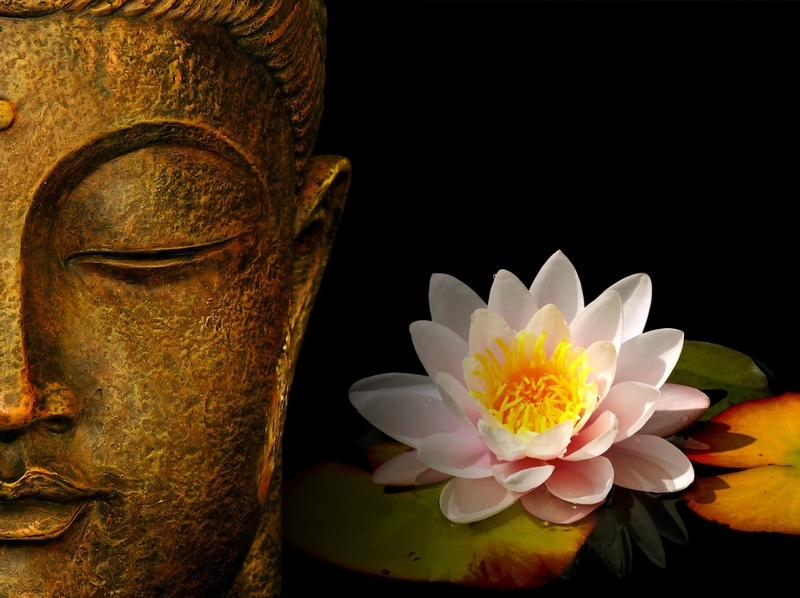 -Meditation seems to be a simple matter of training. Regular use will (train) strengthen this ‘muscle’ and the connections between neurons. Tiny changes can lead to visible changes in the structure of the brain. 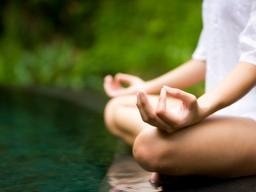 -Meditation can help with anxiety. Research shows meditation can help ‘rewire’ your brain ~ dissolving negative thoughts and disturbances of the mind such as: worry, fear, self doubt, stress, and even panic. In Mantra Meditation, you replace negative thoughts with positive mantra’s and in Mindfulness Meditation, you focus on your breath and the present moment. When we meditate, we take the focus off of our daily: to-do lists, stresses and obstacles. In turn, we breathe which brings more oxygen into the body~ calming and regulating the nervous system. We give our brain a little vacation! Whatever meditation style you choose, surely you will benefit in mind and body. “Most people immediately think of some physical practices for stretching and stress reduction. This is one aspect of the Yogic science, but actually only a very small part and relatively recent in development. The physical Yoga, or Hatha Yoga, was primarily designed to facilitate the real practice of Yoga ~ namely, the understanding and complete mastery over the mind. So the actual meaning of Yoga is the science of the mind.